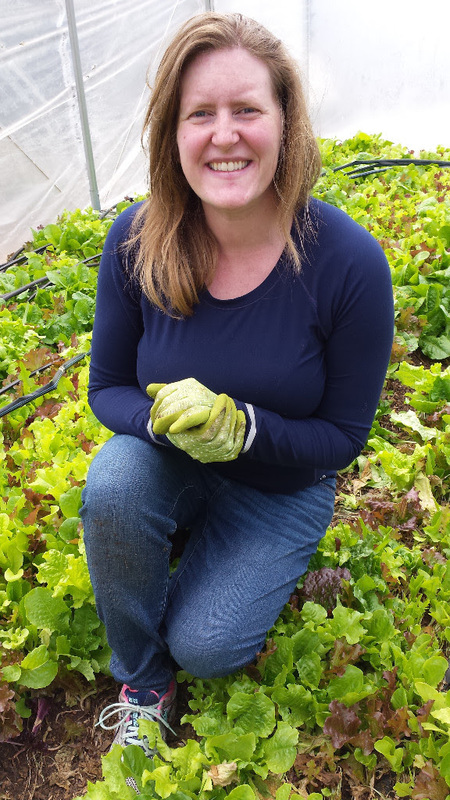 A New Year at CommonWealth Urban Farms! | A New Year at CommonWealth Urban Farms! “If you’ve never experienced the joy of accomplishing more than you can imagine, plant a garden.” Robert Brault Seven years ago, a small team of people began a tiny urban farm. We had less than one-eighth of an acre, which we planted intensively, then took a deep breath and put out a call for our first Veggie Club members. Year by year, that tiny farm has grown. We’ve added a rainwater harvesting system, filled a vacant lot with flowers, started bi-monthly gardening classes, built a hoop house, planted a food forest, and just this past week, we’ve (almost) completed a straw bale greenhouse. Admittedly, we’ve grown faster than we could keep up with; our infrastructure and our ability to pay staff haven’t kept up with our growth. This past year, we felt the growing pains rather acutely. For me, at least, exhaustion and burn-out became a reality I could no longer ignore. I finally had to start placing as much value on sanity and sleep as I had given to growing the farm. All of which makes me think of my mom, who crossed over a year and a half ago. In her final years, memory loss freed her mind of the chatter and clatter of daily life, the press and pull of endless to-do lists. What was left was a deep resonance with the beauty of life, and a love that could fill oceans. Which, when it comes down to it, is what keeps me going. The sheer beauty of this living world. The ancient rhythm of sowing and reaping. The generosity of friends, the kindness of strangers. The miracle of a single seed. 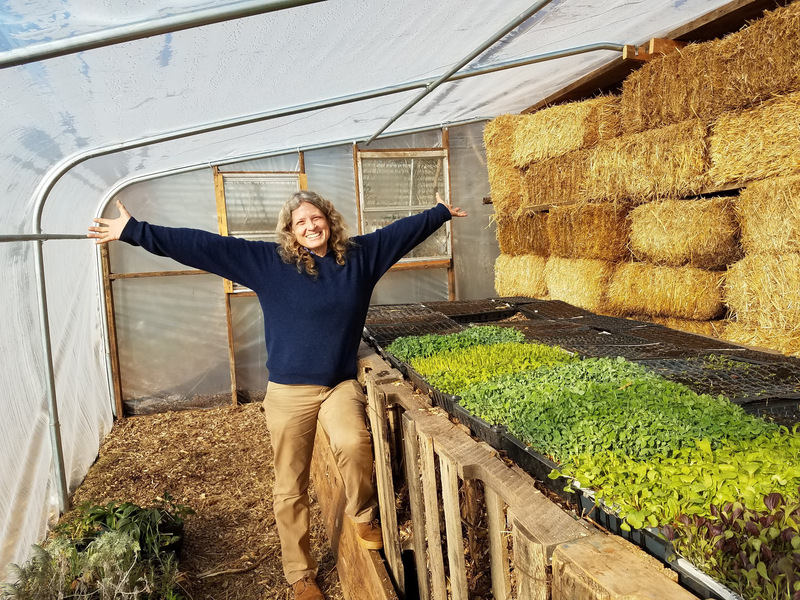 We are bursting at the seams with ideas and plans for 2019, including a video series for beginning gardeners, new Garden School classes, and a seedling CSA. We’re hiring a full time vegetable farm manager, partly to make my life easier (!) and partly to take the farm to the next level.Patreon is a platform for ongoing support between patrons and creators. If CommonWealth means something to you, please consider joining our endeavor. Perks await those who join up. Cool perks! Including discounts on Garden School classes, customized seed packets, educational videos and more. You can become a patron for as little as $2 per month. 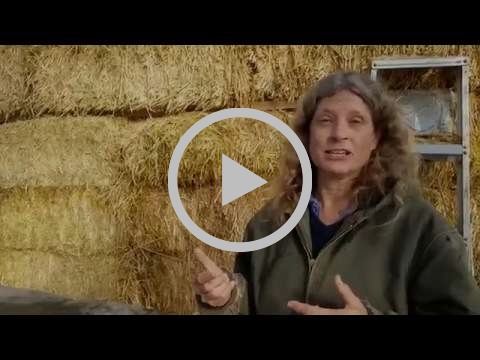 Check out our introductory video here. Take a peek at our new greenhouse! Yippeeeee! CommonWealth is finally getting a greenhouse! And not just any greenhouse; this is a passive solar and compost-heated greenhouse. 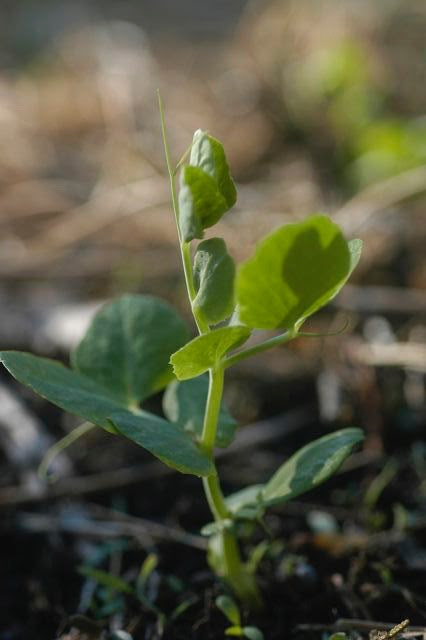 Our goal is to construct a growing space for our seedlings that stays warm all winter long without using fossil fuels. Key elements include a straw bale insulated north wall, a large compost bin in the center of the greenhouse to provide additional warmth, and insulating covers to help keep the heat in at night. Special thanks to David, Toby, Hashur, Yatar, Aaron, Lia and Allen for many hours of volunteer labor to bring this from future dream to actual reality. The greenhouse is almost completed; stay tuned for an Open House invitation! Know a farmer? Now Hiring! CommonWealth is now accepting applications for a full time Farm Manager. This position includes all aspects of growing for market, including crop planning, planting, maintenance, harvesting, marketing, record keeping and budget planning, plus supervision of apprentices and volunteers. Previous experience as a farm manager is required. Do you want to be an urban farmer? Are you a home gardener ready to step up to the next level? 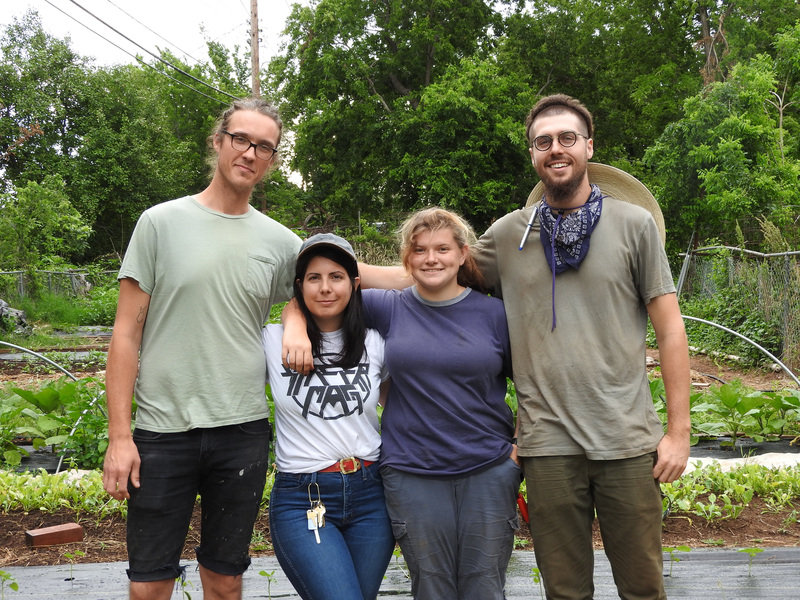 Now in our 8th year, CommonWealth offers the opportunity to learn in a hands-on format, in the midst of a working urban farm, growing both vegetables and cut flowers. 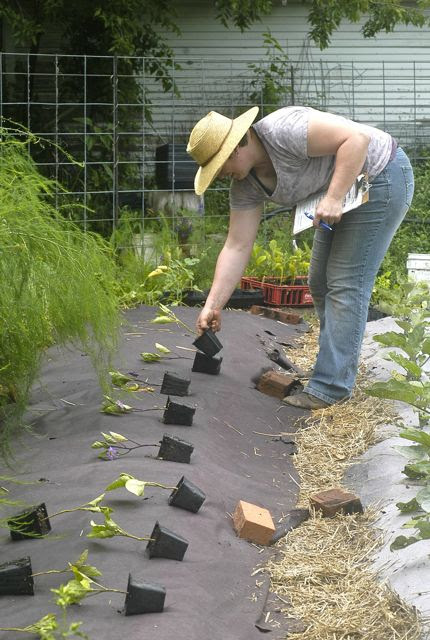 Our farm includes a hoop house, food forest, composting operation and rainwater harvesting system. We sell our vegetables and flowers to a 25-member CSA (subscription vegetable service), local restaurants and local florists. 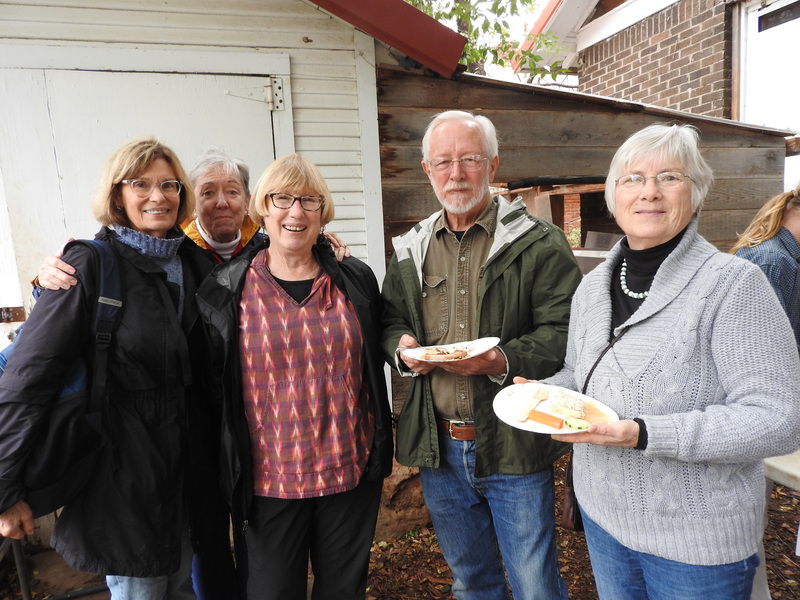 We also have a strong educational component, including Saturday “CommonWork” community volunteer times, farm tours and Garden School classes. Apprentices make a 3-month commitment of 8 hours per week of volunteer time. Staff and apprentices meet together weekly to focus on the topic for the week, plus review homework. In addition to that time, each apprentice choose hours that work best for them. Spring apprenticeship is from March 4 through May 31. ← Smashing Autumn Days at CommonWealth Urban Farms!